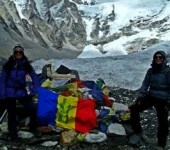 This is one of the most challenging and spectacular treks in the entire Khumbu region. After a week trekking up to Chukkung (4600m) you will start this grand traverse of three of the highest mountain passes in Nepal – Kongma La, Cho La, and Renjo La. Along the way you will have close-up views of several of the highest peaks in the Himalayas, visit Everest Base Camp, enjoy the sublime scenery at Gokyo Lakes, and visit fascinating Sherpa villages and monasteries. This is a challenge for fit and experienced trekkers and will leave you with memories to last a lifetime. Cross three of the highest passes in Nepal – Renjo La, Cho La, and Kongma La. Close-up views of Mt. Everest, Ama Dablam, Cho Oyu, Lotse, and Nuptse. Visit Tengboche monastery; climb Gokyo-ri and Kala Pattar peaks; follow ancient routes of Tibetan traders; visit Sherpa villages and gompas. 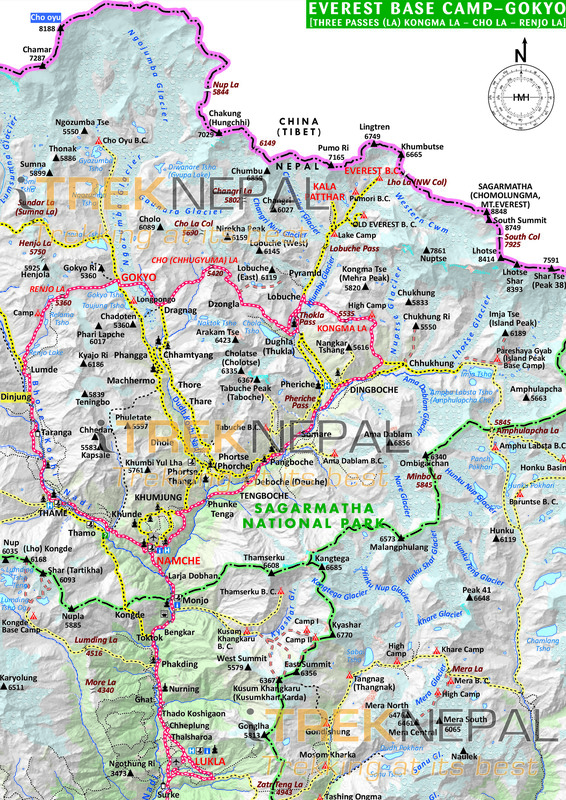 Our route of today to Tengboche weaves in and out of side valleys, making small ups and downs, to the teashops of Kenjoma, and joins the trail from Khumjung just before a collection of mani stones. 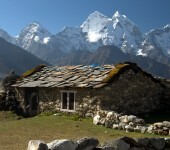 The views of Everest and Ama Dablam are excellent from this part of the trek. We pass the small settlement of Sanasa from where the trail drops towards Phunki Thanga (3250m). From here the trail climbs steeply through forests and around mani stones as it follows the side of a hill to the saddle on which the monestary of Tengboche sits at 3870m. The view from here is rightly deemed to be one of the worlds most magnificent. Kwangde (6187m), Tawachee (6542m), Everest, Nuptse, Lhotse (8501m), Ama Dablan, Kantega and Thamserku provide an inspiring panorama of Himalayan giants. From Tengboche we end our day by descending for about 30 minutes through forests of birches, conifers and rhododendrons to the village of Deboche where we will spend the night at an idyllic Sherpa lodge . (5 hrs). From here the level trail passes many mani walls in a deep rhododendron forest. After crossing the Imja Khola River the route climbs past some magnificently carved mani stones to Pyangboche (3860m). This is the highest year-round settlement in the valley, and the Pangboche gompa is the oldest in Khumbu and contains relics that are said to be the skull a yeti. Beyond Pangboche the route enters alpine meadows above the tree line, mostly consisting of scrub juniper and tundra. We will cross the Khumbu Khola river then head northwest toward the Chukkung Valley and arrive in Dingboche at the foot of the valley (4:30 hrs). The hike is relatively easy as we leave Dingboche through stone walled fields and alpine landscape. We take the trial from Dingboche through the Imja Khola valley on glacier moraines with towering mountains on both sides – Lhotse on our left and Ama Dablam on our right. After reaching a yak herdman`s hit called Bibre we will see Island peak (Imja Tse), a most popular trekking peak. The trail ahead is intersected by icy streams. We reach Chhukung in less than an hour from Bibre, and are surrounded here by glaciers and massive snowy mountains. We have the to hike up to Chhukung Ri which offers stunning views of Lhotse, Island Peak, Ama Dablam, Makalu and Baruntse. Overnight in Chhukung. An acclimatization day in Chhukung is necessary before doing the Kongma La pass.. The views are tremendous from Chhukung and further up the valley near Island Peak (6189 m). We can this climb the Chhukung Ri or to the base camp of Island Peak. The great south face of Lhotse towers above to the north, while Amphu Lapcha a (5780 m pass) and the immense fluted ice walls that flank it dominate the horizon to the south. To the southwest, the eastern face, of Ama Dablam provides an unique view of this picturesque peak. Overnight in Chhukung. We start early in the morning from Chhukung to have enough time to cross highest pass of the trip. We can select to go via any of the possible trails- either taking a climb over the hill northwest of Chhukung over the moraine of he Nuptse Glacier or we might walk back down the valley to Bibre and follow a high trail above the Niyang Khola. Along the way there are great views of Island peak valley and jagged ridge of Amphu Lapcha. Ascending along the east side of Niyang Khola valley, we turn west and enter a wide basin dotted with small frozen lakes. The trail rises over loose scree reaching the Kongma La pass about five hours out of Chhukung. Behind us is the landscape of icy lakes while ahead is the Khumbu Glacier. The final descent is challenging, requiring crossing some ice at times along the Khumbu Glacier which takes us to Lobuche. Overnight in Lobuche. The first section of todays trail follows the western side of the broad Khumbu valley and ascends gently through meadows besides the glacial moraine. The ascent becomes steeper and rougher as it crosses several side moraines. After rounding a bend in the trail, the conical peak of Pumori comes into view. On the lower slopes of this mountain a ridge extending to the south terminates in a small peak, known as Kala Pattar (5545m), meaning ‘black rock’. The trail then makes a short descent onto the sandy, flat expanse of Gorak Shep. From here we will continue to the current Everest base camp, which is about a 4 hours return walk from Gorak Shep. We will return to this small settlement after our visit to the base camp (6 hrs). We will start our day very early by climbing the Kala Pattar (5545m) for a spectacular dawn view of the classic Himalayan peaks. This is a steep ascent up the grassy slopes west of Gorak Shep. From Kala Pattar the entire Everest south face is visible as well as Lho La (the pass between Nepal and Tibet, also named the Western Cwm), Changtse (the northern peak of Everest) and most of the West-Ridge route. We return to Gorak Shep and continue to descend to Lobuche. Today we start the crossing of the Cho La pass to Gokyo. The route to Dzongla branches off from the main trail some distance from Lobuche. After crossing a stream we rerach wide gravelly river bed that flows southwestward, the trail runs across it and climbs the ridge ahead. From the grassy ridge ahead we can see Ama Dablam, Kangtega-Thamserku and Taboche. Pheriche village is also visible far belowus . As the ridge veers northward, the vast Chola Lake spreads out below. The lake stays with us over a long stretch until we descend to a wide basin. After crossing the basin and a shaky bridge, we reach Dzongla. Today is one of the most challenging of the trek. The walk begins as we transverse through a spur extending westward from Dzongla. The path descends to a basin across which meanders a murmuring stream crusted with ice at places. In about an hour, we reach the top of the basin readying for the triumph on ChoLa. As we gain height, the view back gets increasingly more captivating; the Chola Lake begins to appear and the Ama Dablam in its pyramidal incarnation presides over a range of mountains on the south as Cholatse soars on the west. Climbing the incline is not easy; it is steep, but made worse by boulders over some of which we will have to scramble. We need to be alert as rocks can be glazed by ice. The final climb to the ChoLa can be a little tricky as the trail curves round the bergschrund. Upon reaching the top, we see prayer flags, strung across cairns, flapping in the strong wind. Scenery of majestic peaks in all directions is breathtaking. Although long, the path leading down to Thangnak can be easily made out from the pass because it is just decent but can be hazardous if rocks are glazed by ice, a bit of cautiousness is needed. We reach Thangnak, a rather more substantial hamlet with a small village. Stepping out of the settlement, we are greeted by fabulous mountain views. The trail brings us to the Ngozumpa glacier edge after short walk, which is longest glacier in Nepal. Reaching the other side of the glacier, we get view of the second of the Gokyo lakes on the series of six lakes. A short distance away is the third Gokyo Lake. On the edge of this lake stands the Gokyo Village where we finally give rest to our tired body. Overnight in Gokyo. Rest day in Gokyo Valley is an exceptional opportunity. This acclimatization day is grasped as an opportunity to climb Gokyo Ri to enjoy the scene from the best viewpoint of Everest Region. 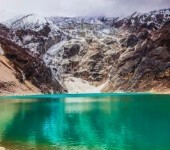 Or, as we know Gokyo is not only popular for its grand view from Gokyo Peak but also for the six lakes which it hosts, definitely we would not miss the chance to observe the fourth lake (Thonak Tsho) and fifth lake (Ngozuma Tsho). About 3 km north of Gokyo is the fourth lake with its high cliffs and peaks rising above it. The trail continues to fifth lake and we get mesmerized by the shimmering turquoise blue sheet of water. If interested, we climb on a hill at the edge of the Lakes to get astounding views of Cho-Oyu, Gyachung Kang, Everest, Lhotse, Nuptse, and Makulu. We can see a lot more from here – the spot is called Scoundrel’s Viewpoint. 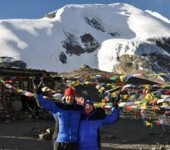 Beyond the fifth Lakes is the Cho Oyu Base Camp. Scenery here is breathtaking with Cho Oyu and Gyachung Kang seeming just a stone’s throw away. Northern part of the fifth lake provides fabulous views of Cho-Oyu Base Camp and biggest glacier of the world- the Ngazumpa glacier. Moved by the charm, we may even try to go sixth lake too but depends upon our own interest and time. Back to Gokyo village. Overnight at Gokyo. We need to start at dawn today as we have to trace our trail up to Marlung today after conquest of Renjo La. As there is no alternative to Marlung for overnight today, we need to start early. Down from the Gokyo Valley, we leave the main trail and turn to Renjo La trail by Dudh Pokhari. After about 3 hours, we gain the Renjo La where a dazzling vista awaits. The Everest itself, Lhotse, Cholatse and Taboche can be seen shining in the sun. Views from Renjo La are much like that from Gokyo Ri with third Gokyo Lake and Gokyo Village beneath the gray smear of Ngozumpa Glacier. Continuing on from the pass, the trail winds down a stone staircase and then scramble over loose scree to reach the south bank of a small lake, Angladumba Tsho. Presence of ice on the trial while descending down can make our descend a bit hazardous. 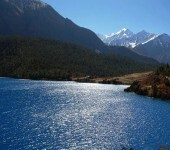 Along the way we see Relama Tsho and Renjo Lake. However, we walk down through narrow valley clogged with giant boulders to Lumde where there is a support Lodge but it can be closed often. 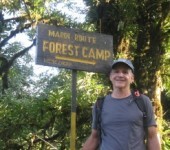 We walk almost for an hour from Lumde to get to Marlung on the east bank of the Bhote Kosi. Overnight in Marlung. The descent from Marulung to Thame follows a traditional route used for centuries by the Tibetan traders. Down from the Marulung we cross the Bhote Kosi and descend to Taranga. The trail then goes through the valley of Langmuche Khola. This stream drains down from Dig Tsho, the glacial lake that burst its banks in 1985, causing devastating floods along the Dudh Kosi Valley to moraine to Thame. Thame has a sprawling village with a few lodges and stunning mountains like Thamserku, Katenga, Kusum Kangguru, etc. Overlooking Thame is its famous Gompa situated some the fields, on a hill to the west. Established some 325 years ago, the Gompa has three big images of Chenresig (Avalokiteswara), Guru Rimpoche, Buddha Sakyamuni. Colorful Mani Rimdu festival featuring colorful mask dances is held in this Gompa in May. We climb down after crossing a bridge after then eventually reach Samde. The place offer breathtaking views. The path steeply descends down to Thamo village which hosts a monastery called Khari Goma which is a nunnery being home to some nuns and monks. After passing through a check post, we come to the world`s highest hydroelectric power station built on Austrian help. The project provides electricity to most parts of upper Khumbu. We reach small village of Phurte where there is Laudo monastery which is run by Kopan monastery of Bouddhanath in Kathmandu and is popular among the westerners for Buddhist study and meditation center. We eventually reach Namche again through some Gompas, colorful player flags, Mani stones, and Chortens for the night rest. It is a long walk from Namche Bazaar to Lukla, but it’s almost all downhill and we should all be in good shape by now. From Namche, we will descend steeply back to the DudhKoshi river and continue our way past the national park checkpoint at Monjo. The trail then continues back towards Lukla along the same route that we trekked two weeks ago. 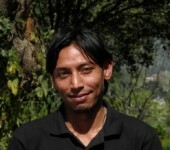 In Lukla we will reconfirm our flight tickets for the next day and spend the night (5 hrs). The 35 minutes flight from Lukla will bring us back to Kathmandu and a transfer to your hotel or next destination in Kathmandu. There should be plenty of time during the remainder of the day for rest, shopping, dining, or sightseeing. 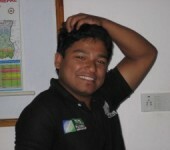 Transfer to airport for international departure flight or continue to your next destination in Nepal.